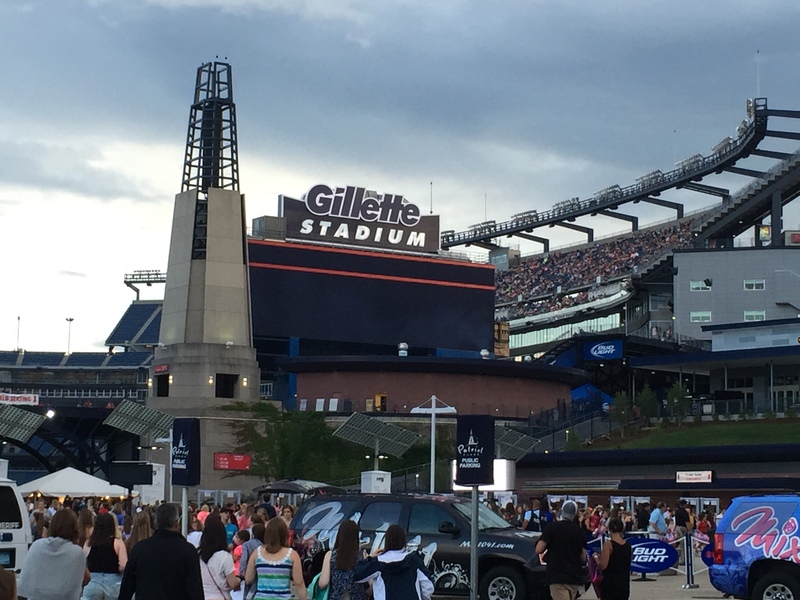 They said it was supposed to be sunny and beautiful all day on Friday (the 24th), the day I had tickets to see Taylor Swift at Gillette Stadium. All week, sunny, no rain. Then, it’s finally Friday, and the weather report starts to change: rain starting 5 p.m. Considering the show started at 7 p.m., Swift probably going around 9 or 10, I wasn’t happy. Although, still excited to see Taylor Swift. I was one of those lucky individuals who attended her Speak Now World Tour at Gillette Stadium and it down-poured, and I didn’t really want to relive that experience (although Swift did use footage from that show for her “Sparks Fly” music video, so it was kind of worth it). As we got closer to the event, the rain started to increase in probability and they started to say there would be thunder. Fabulous. Just what I needed, to be sitting in the nose-bleed seats of Gillette Stadium and be struck by lightning before seeing the 1989 World Tour. Upon our arrival, we had been given these wrist bands that kind of looked like a FitBit, and I started to wonder if Swift was tracking her fans’ physical activity. When the woman handed me my wrist band, I looked at her confused and she replied with “Taylor wants you to wear it.” No more objections. If Taylor wants you to wear a bracelet, you wear the friggin’ bracelet. There I was, sitting in my one-size-fits-all rain poncho (which was quite a lie because the darn thing didn’t fit over my head…I had to rip it a little bit to fit) watching the HAIM girls create magic, wondering what Swift had in store for us. I’ve been a little familiar with HAIM’s debut album Days Are Gone, but it was incredible to watch these sisters shredding it on guitar, bass, and drums. Finally the time came. The lights went out, the curtain dropped, and out came Taylor Swift, singing “Welcome to New York.” The questions about the wrist bands were quickly answered when they lit up and flashed different colors to the rhythm of the songs. Swift later explained in the show that she wanted to make sure she could see “every last person.” The ploy was ingenious because it saved us from having to drain our phone batteries to flash a light during songs, and it made us a part of the show. It’s hard to say what the best performance or song was because the whole show was mind-blowingly amazing. I’ve seen Swift four times now, and I have to say I think this concert was perhaps her best (although, her others were amazing as well). 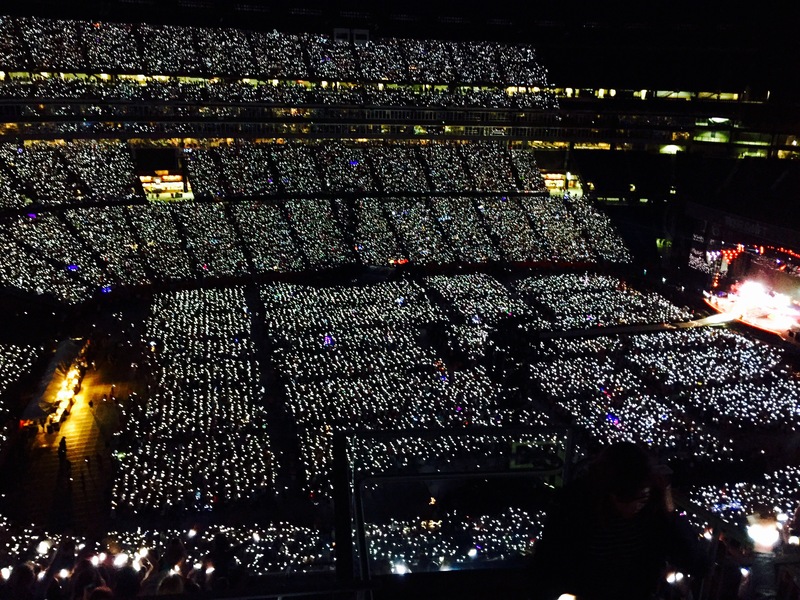 With the lights synchronized perfectly to the music, Swift’s talks between songs inspiring and heartwarming, and each song being performed perfectly, the night was one to be remembered. She ended up performing all the songs from 1989 in addition to her previous hits “Love Story,” “You Belong With Me,” “We Are Never Ever Getting Back Together,” and “I Knew You Were Trouble.” Naturally, the live performances did not perfectly match the album cuts as she did different versions. For example, she said that she wanted to incorporate “Love Story” into the show, but knew it would not fit with the theme of 1989, so she create a whole new version with ’80s inspired synths and beats, and it was amazing to hear (she needs to release it…soon). “We Are Never Ever Getting Back Together” felt like an ode to Joan Jett or Pat Benatar with heavy guitars, grunts, and sharp yells (at the point in the second verse where she sings “indie records much cooler than mine,” she actually screamed that, which reminded me of a heavy metal/scream band. It was epic). 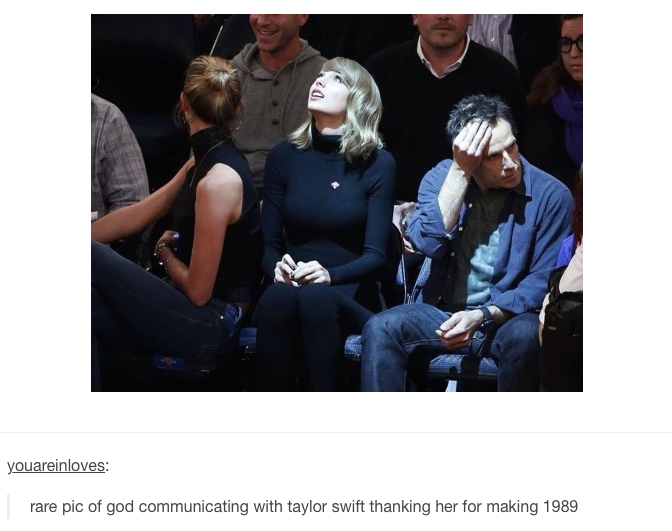 There was also a point where I felt Swift was borrowing from her friend Ed Sheeran. Sheeran, in concert, performs by himself without a band. He’ll make different sounds either vocally or on his guitar and loop it, so he creates the whole arrangement by himself live. 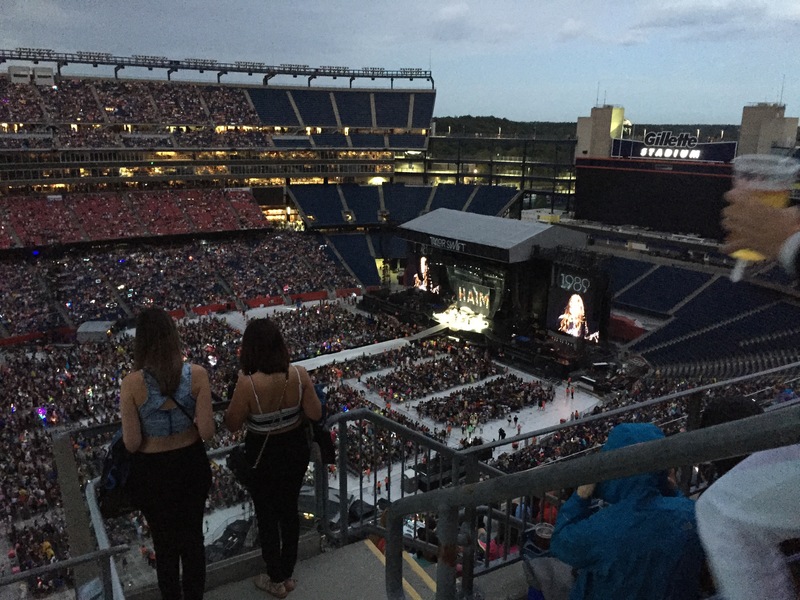 During her performance of “Blank Space,” Swift said she wanted to try an “experiment,” and she shouted “Boston” and looped it. Then she sang the bridge of “Blank Space,” looping that with “Boston!” She then sang the bridge about two more times, each one a different pitch and looped it all together. It was cool to see and experience. Whether it had rained or not (and it didn’t), I probably would’ve had one of the best nights of my life. And that says something from a guy who really hates weather that is not sunny and 70 degrees. It’s not just seeing Taylor Swift in concert, it’s experiencing the excitement and watching these hit songs come to life.